For the next 3 weeks starting February 9th, emergency repair workers will install temporary chain link fence and gates (green lines on the map) that will block the UW campus members from accessing a portion of a major pedestrian pathway from the Stevens Way & Benton Ln. bus stop by the South end of the HUB and by the HUB lawn. 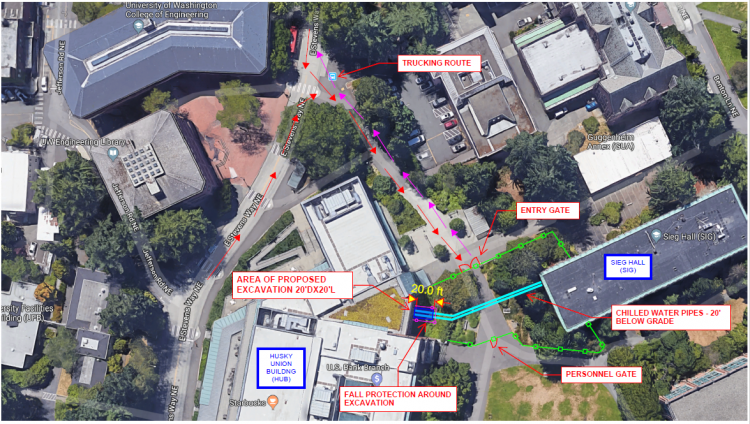 Additional information on ADA-accessible pedestrian paths, signage, and detours are expected to be made available to the public shortly.